Hollywood can be a tough place to maintain a relationship and only the two of them know what really happened, but that won’t stop us from speculating. Here are 5 Reasons we think that J-Lo and Marc Anthony decided that being the old people at the club was better than being married. J-Lo wanted to get their twins nose jobs. We all know those kids are going to have her original Puerto Rican breather and that will totally blow up her spot. Marc Anthony wasn’t having it though, arguing that if he could land her with his looks then his kids would be fine. J-Lo saw Jada Pinkett’s interview where she referred to her co-star Marc Anthony as “Brown Thunder” , immediately took off her earrings and went looking for the Vaseline. Not to fight, but to audition for a walk-on part. In December of 2010 it was reported that Marc Anthony owed over $3 Million in back taxes. 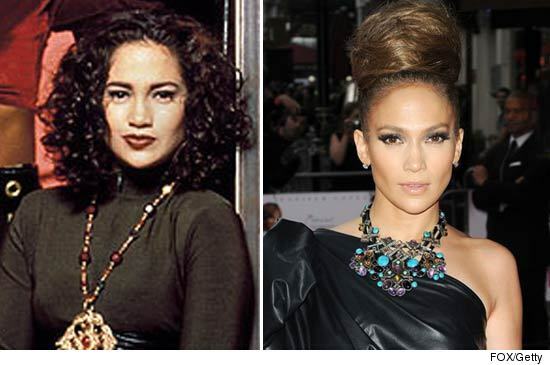 J-Lo thought about all of the “In Living Color” reunion shows she’d have to do to pay that off and said hell to the no. After recording their duet “No Ames” and performing as his back-up dancer on “American Idol,” J-Lo bugged Marc Tamar Braxton-style to record an entire album of duets. Marc Anthony, tired of lying to his wife about her singing ability just to get some booty, finally turned to Jenny and said, “Lucy, for the last time, you cannot perform at the club!” It was pretty much a wrap after that.